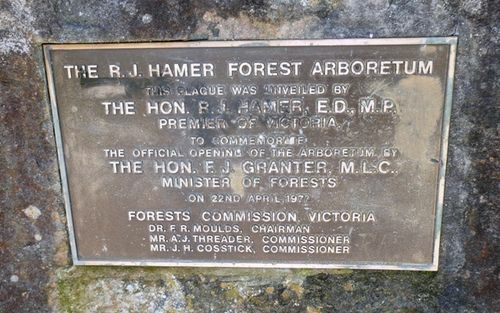 The plaque commemorates the opening of the R.J. Hamer Forest Arboretum. By The Hon. R. J. Hamer, E.D., M.P. The Hon. F. J. Granter, M.L.C.